Ford India is up and front to make its fans and consumers happy and delighted. To do so, the company is offering heavy discounts on its models that would not only make the purchasing easy on pocket but also give you a chance to earn additional benefits. The Ford Celebrations have begun today and will last till 9th march 2013. During this time period, if you book any Ford car (Figo, Endeavor, Fiesta or Classic), heavy discounts could be availed. Ford Fiesta Sedan, which is available starting at Rs. 7.42 lakh, here you can save up to Rs. 74000. On the other hand, Ford Endeavor is priced for Rs. 19.65 lakh, a massive Rs. 97000 can be saved during the celebration time. Rs. 37000 can be saved on Ford Figo, which is priced for Rs. 3.89 lakh. Last but not the least, on Ford Classic (Rs. 5.64 lakh), discount of up to Rs. 49000 can be availed. Apart from such alluring schemes and offers, the Ford Figo Special Edition has also been added up in the range on 4th March 2013. This one was brought in at a special price tag of Rs. 4.15 lakh (petrol) and Rs. 5.16 lakh (diesel). Ford has launched Special Edition with a whole lot of cosmetic changes, which includes revised rear spoiler, edition badging, satellite navigation system, rear parking sensors, and special edition seat covers. On the other hand, the technical specifications are kept same as before. 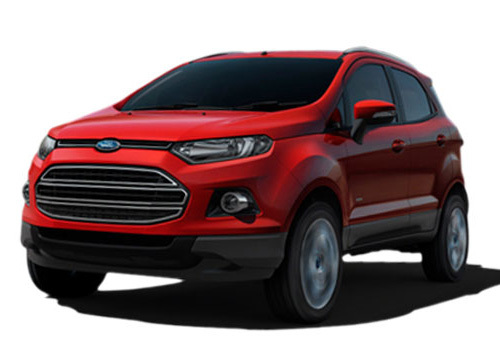 With all this, Ford has its kitty full as Ford EcoSport launch is also round the corner. This Sporty SUV has a lot in store for SUV fanatics and would arrive with a very competitive price tag and athletic appearance. Renault Duster, which took away the market with the wind would be the major competition to Ford EcoSport Crossover.